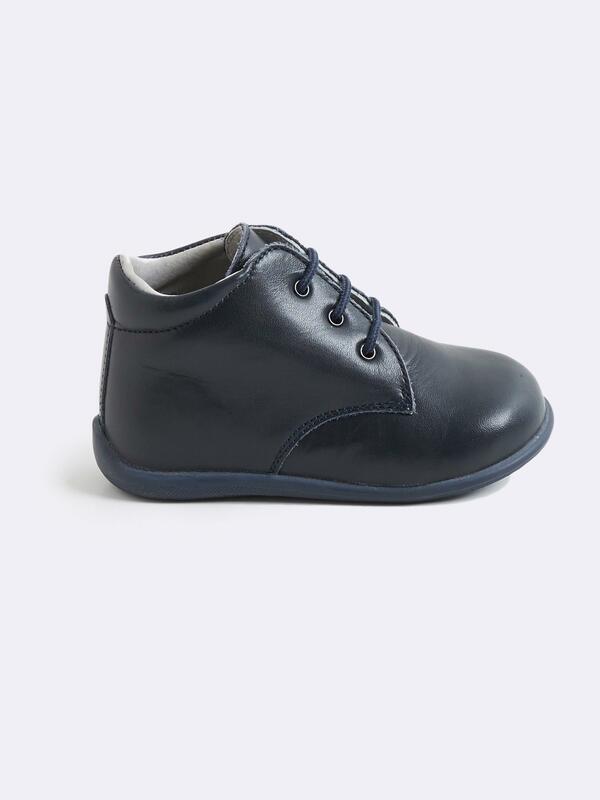 An ankle boot for baby's first steps: supple and comfortable in a quality leather. Rounded toe. Lace-up fastening. Padded trim for comfort and support. Leather uppers, lining and sock. Elastomer sole.